Thinking of building a one-off house in Kilkenny? 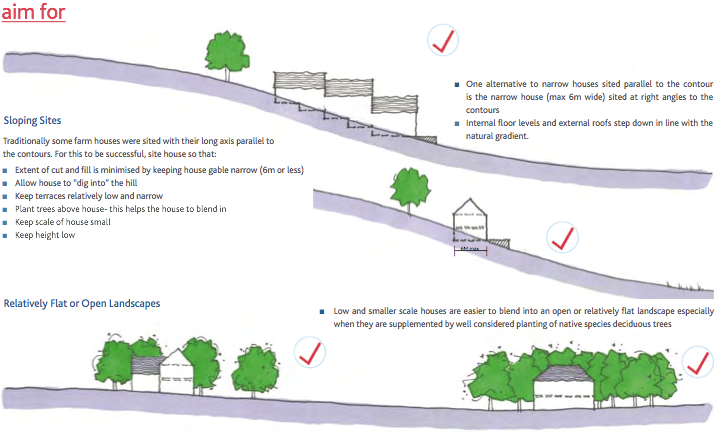 Whenever we get an enquiry about designing a one-off house in Kilkenny, we always suggest taking a look at the design guide published by Kilkenny Co. Council. It’s a useful publication and gives a valuable insight into what the planners are looking for, as well as lots of information on, for example, choosing a site. They also have tips on sustainable design, locating your septic tank etc. It is aimed at anyone who would like to build a house in Co. Kilkenny. It’s a free download here or available for €10 from the Planning Department in County Hall in John Street.